What’s the best visual content creator tool? The reap answer: it depends on what do you need. There are a lot of things to say regarding visual marketing. For example, we know that it works. Visuals are an effective way of conveying a message and this is the most important aspect for a marketer. Content may be the king of marketing but without visuals, it is possible that it will fail to reach its destination. I have been writing for a while on this extraordinary topic and most certainly, you will find enough resources on this blog to learn how to deal with visual marketing in your daily duties. 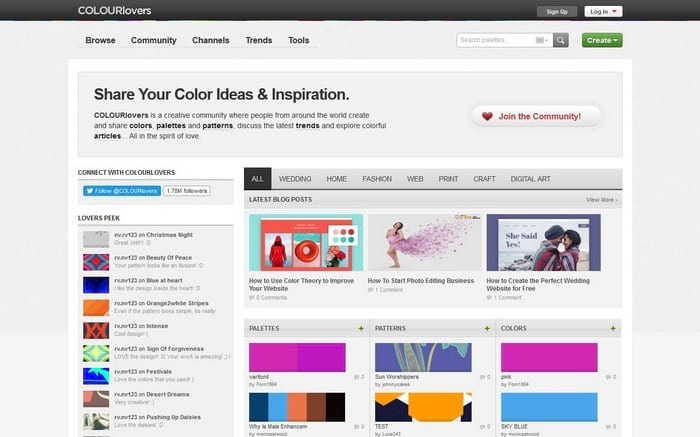 What are the best tools and resources for a content marketer when we talk about visual content? Let’s start with the first step, which encompasses the choice of photos and move on slowly, up to the video editors that will conclude this list. I am sure that most of you already know some of the best online resources for stock photography and other types of images you can use in your daily content and visual marketing work. However, I will try to list here the best of the best and hopefully, give you enough resources to start your campaigns on the right foot. 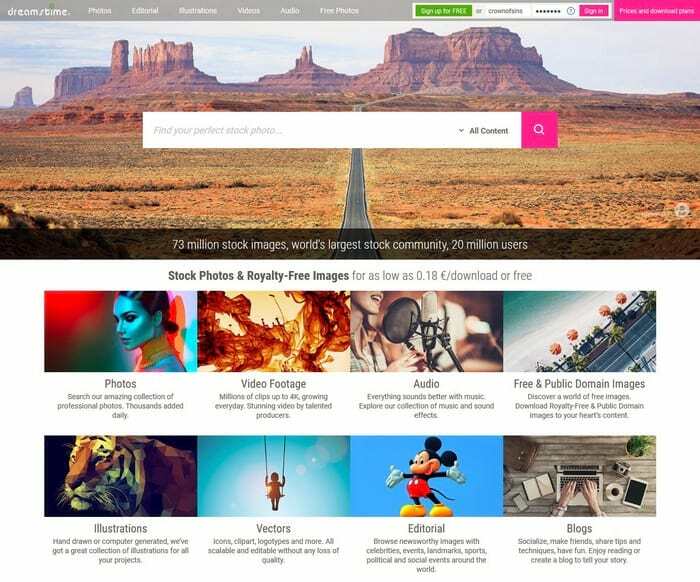 Are you looking for free stock images? I am sure you do. In fact, as a visual marketer, you will need constant access to professional looking photographs. Foter may be the answer you were searching for. 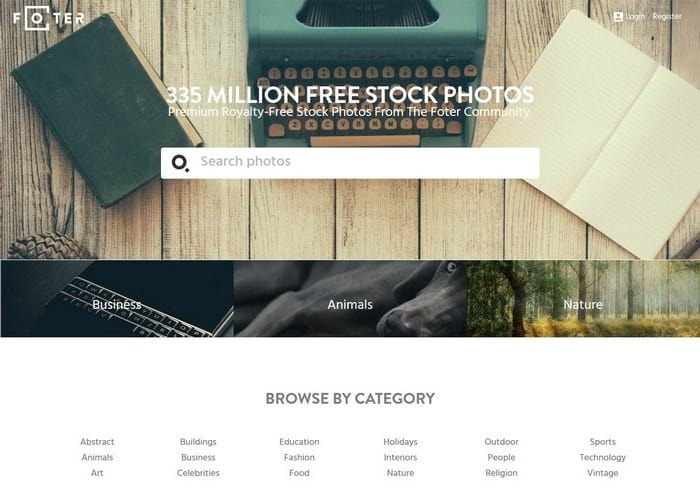 The website hosts an impressive database of free stock photos for commercial and non-commercial use that can be downloaded right away cost-free. 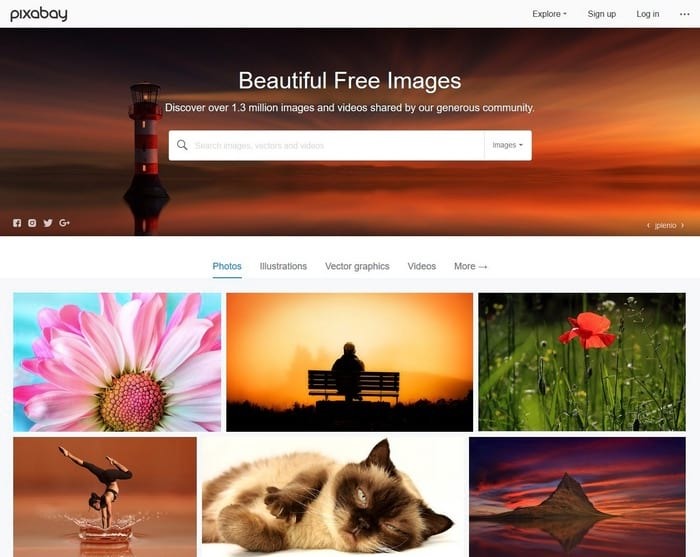 Another great source of stock images, Pixabay, will help you complete your own database of inspirational photos and visuals you will later use in your content marketing campaigns. The website looks and feels similar to Foter and therefore, you will find it easy to navigate both of them. There are times when you need more than a beautifully looking stock image. For instance, you need great looking vectors and templates for your visual designs. Where can you find them? 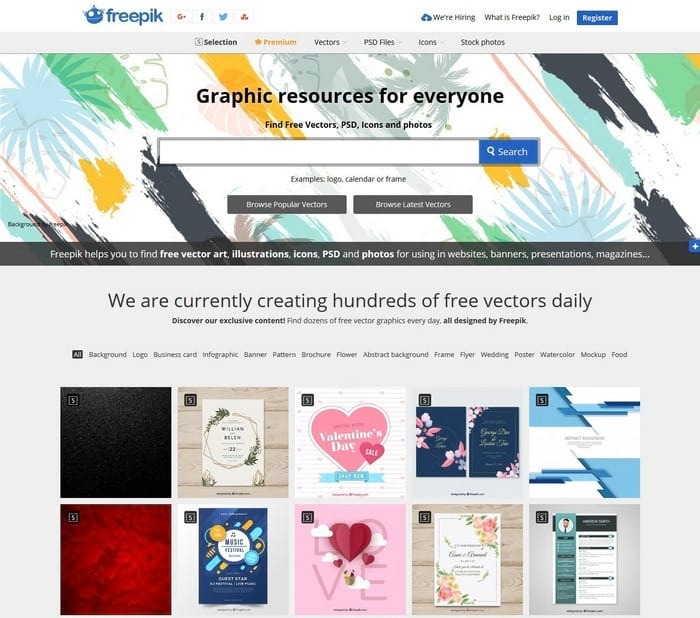 Well, take a look at FreePik. You’ll be amazed at how many great things you can find free of charge in their database. 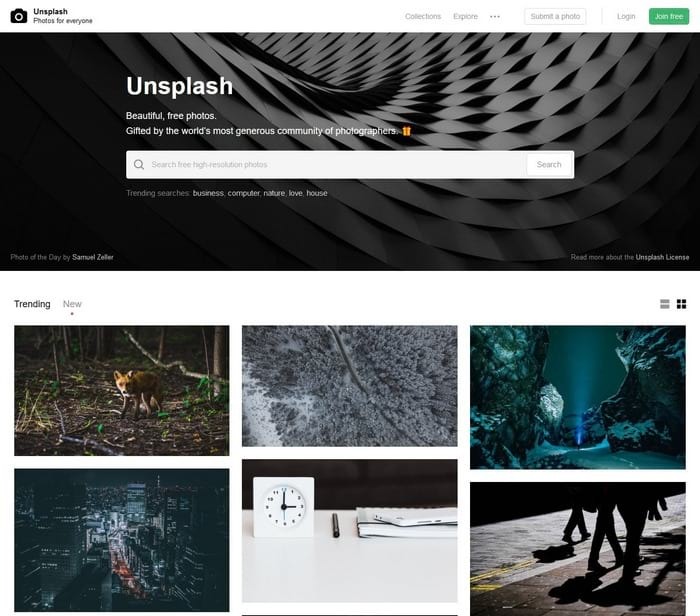 Unsplash is a popular database of stock images, similar to Foter and Pixabay. You can find here a great selection of professionally looking visuals you can use free of charge on your website or blog. 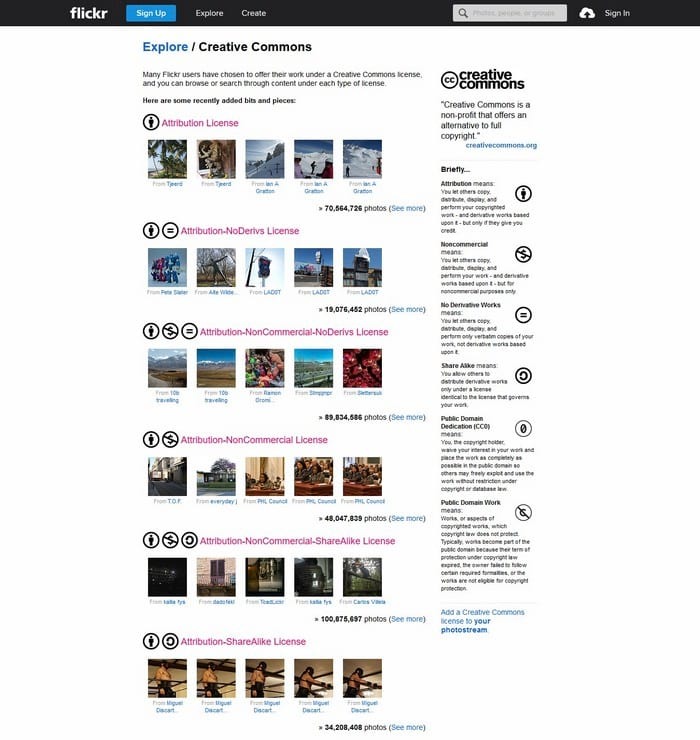 If you are patient, you can browse a really huge database of Public Domain and Creative Commons photos. The Flickr CC database includes hundreds of millions of images you can use in your daily work. While some of them require author attribution, you will also find public domain stuff here that is free of all copyrights. Just in case you need some really good looking patterns for your visual marketing campaigns, stop for a second and take a look at “The Pattern Library”. They have an impressive collection of patterns to choose from and they’re also free. No need to worry anymore about your banners. Dreamstime is one of the oldest and biggest online marketplaces for professional stock photos with almost two decades of history. Their images are not free, nor cheap either. However, if you are looking for great visuals for your campaigns, this is the place to look for them in the first place. Also, they have a small database of free public domain photos, just in case you don’t have a budget for this kind of purchases. 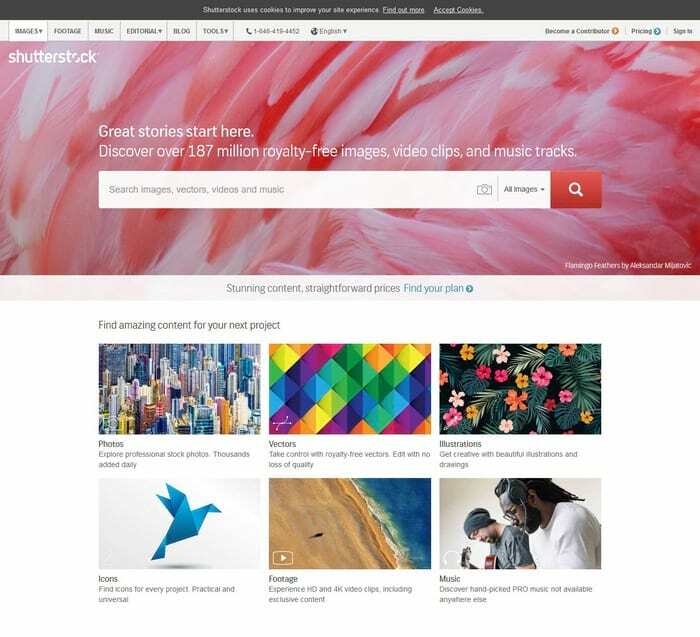 Shutterstock is the second most popular stock photography website. Their prices are similar to Dreamstime’s yet, a little bit lower. However, they claim to sell almost 200 million photos on their website so, you won’t have any problem in finding exactly what you want. 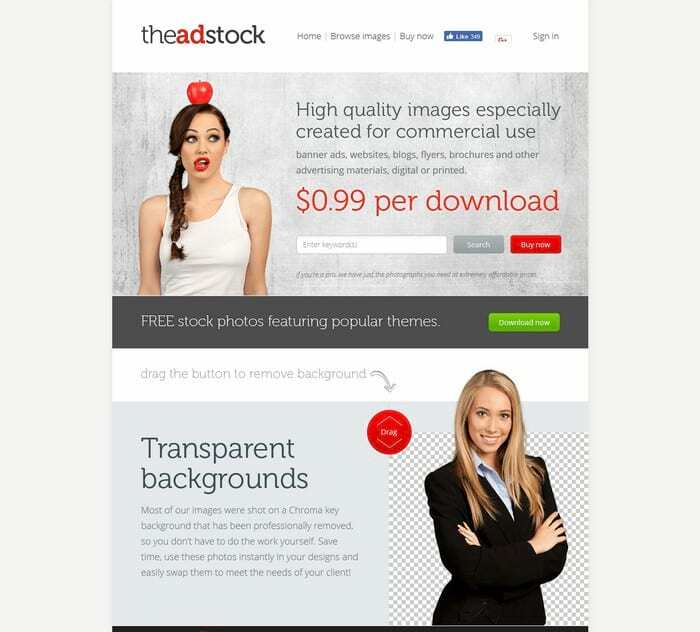 If you need something more focused on your visual marketing work, then TheAdStock may be exactly the place to go to. 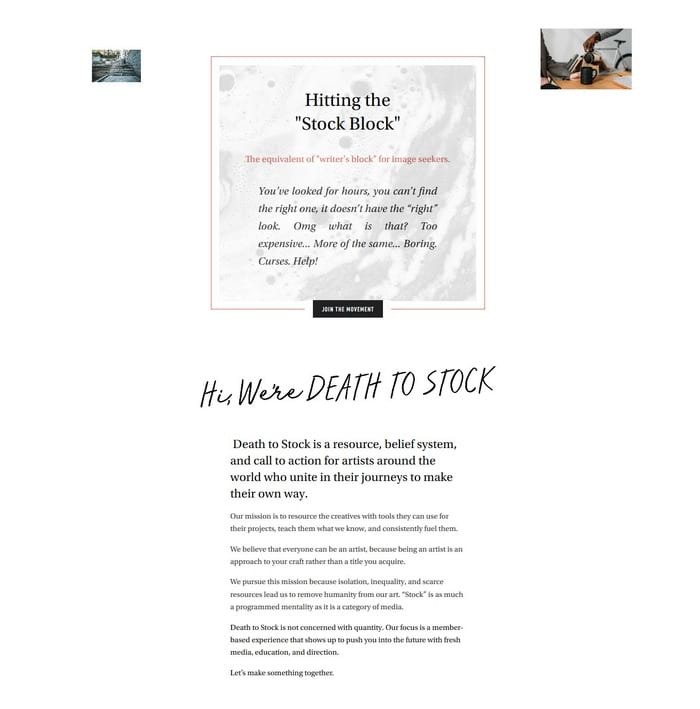 Unlike the traditional stock photo websites I have already talked about, this one was created especially for marketers, designers, and advertisers. Their offer includes high quality images designed for commercial use on banners, flyers, brochures and other advertising materials. As the official description states, “Death to Stock is not concerned with quantity. Our focus is a member-based experience that shows up to push you into the future with fresh media, education, and direction”. In other words, you will not find here millions upon millions of stock photos but a database of unique visuals you can find nowhere else. Therefore, the focus is on two things here: quality and uniqueness. The premium subscription goes as low as $12 per month and includes access to photos and videos as well. It is not very expensive, for a professional marketer. I am sure that the above databases of images and patterns will help you in your daily work. However, as a visual marketer, you already know how important is to be original. You need to provide your audience with something really unique and authentic. This is why you will need to start creating your own visuals as well. VSCO is a photo company that builds tools for photographers and visual artists. They also provide the artists with a community and of course, the connection and the educational information they need in order to succeed. Their offer includes a dedicated app as well and desktop and mobile presets for Adobe Lightroom and Adobe Camera Raw. Developed and distributed by Google, Snapseed is one of the most complete mobile professional photo editors available now. It features no less than 29 different tools for image editing and adjustments. In fact, Snapseed has everything a professional visual marketer needs when working with photos. Moreover, you can save your personal looks for later. Thus, you can batch retouch or edit your photographs. Hyperlapse allows you to create time lapse videos for Instagram by using a built-in stabilization feature. You can shoot events even if you are in motion without the need of a tripod. You don’t even need to stop. Then, you can distill your entire video session into a short spot which can be posted online. The Hyperlapse can be speeded up to 12 times the normal speed. Also, you can smooth your video and give it a cinematic feel and quality with an automatic stabilization system. This app allows you to create short videos that loop back and forth and share them with your Instagram audience. 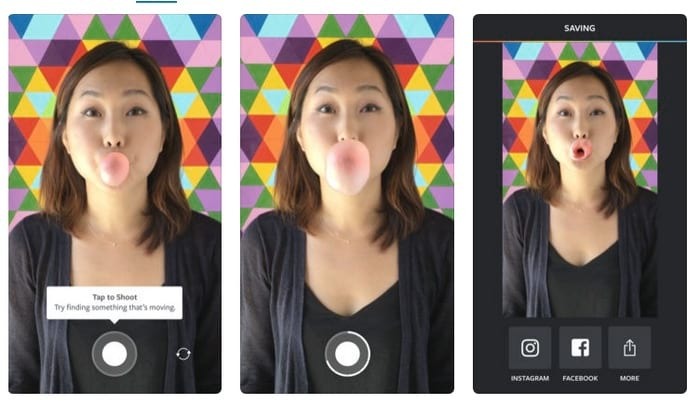 Boomerang takes up to ten photos of your choosing and mixes them together into a video that loops back and forth. You can then share your new files on Instagram and Facebook or just save them to your camera roll for later. Typography is yet another important thing for a visual marketer, especially if you have an important message to convey to your audience. You need to consider the way you are sending this message and how readable it is. At the same time, you need to choose appropriate fonts for it, fonts that will fit into your entire construct properly. This is a great resource for free fonts. In fact, it is one of the biggest and more popular resources of this sort. Also, you can find some interesting tools and apps here, most of the commercial but very useful when you are dealing with fonts or in case you are a typography designer. Font Squirrel provides you with yet another great source of free fonts. You can download as many as you want. Also, you can find here all types of fonts, including display fonts, the kind that you will always need in your visual marketing campaigns. Did you see a must have font and don’t know what it is? Do you want to find out? Well, of course, you do. And, you can do it now quite easily with WhatTheFont, a mobile app that is available for iOS and Android as well. Another great app if you want to inspect the fonts you find online, FontFace Ninja is, in fact, a browser extension. 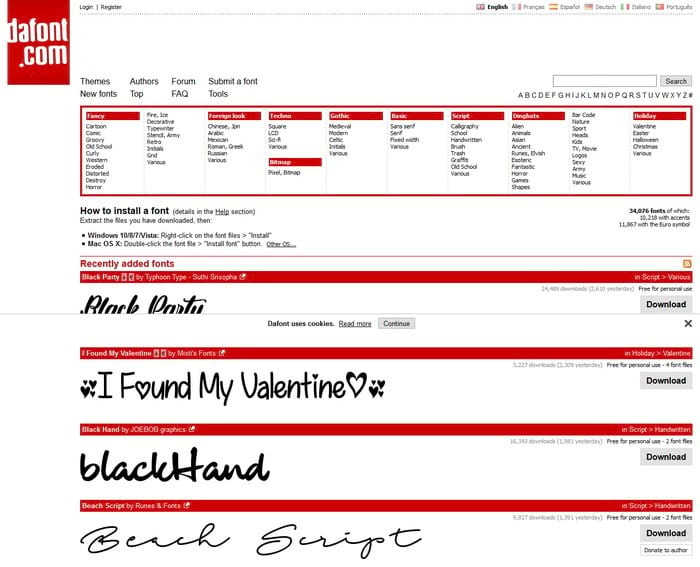 You can use to find out the name of the fonts used on websites, try them, buy them and bookmark them as you like. The extension is available for Chrome, Safari in Firefox. Do you want to see how different font styles look when combined with CSS? Do you need inspiration in choosing the best typographies for your projects? You can do it with Typeinspiration, a website that combines fonts with CSS and color palletes. 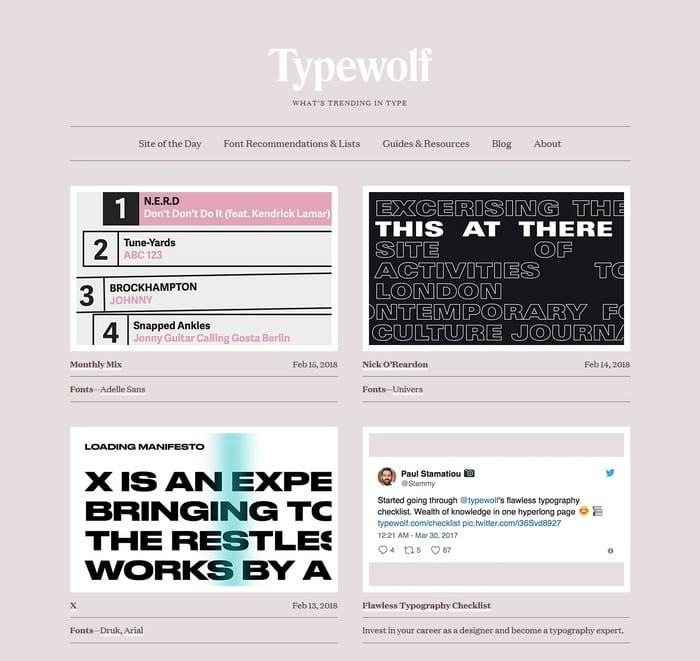 If you want to find out more about the latest trends in typography and keep your info up-to-date with this industry, check out Type Wolf. 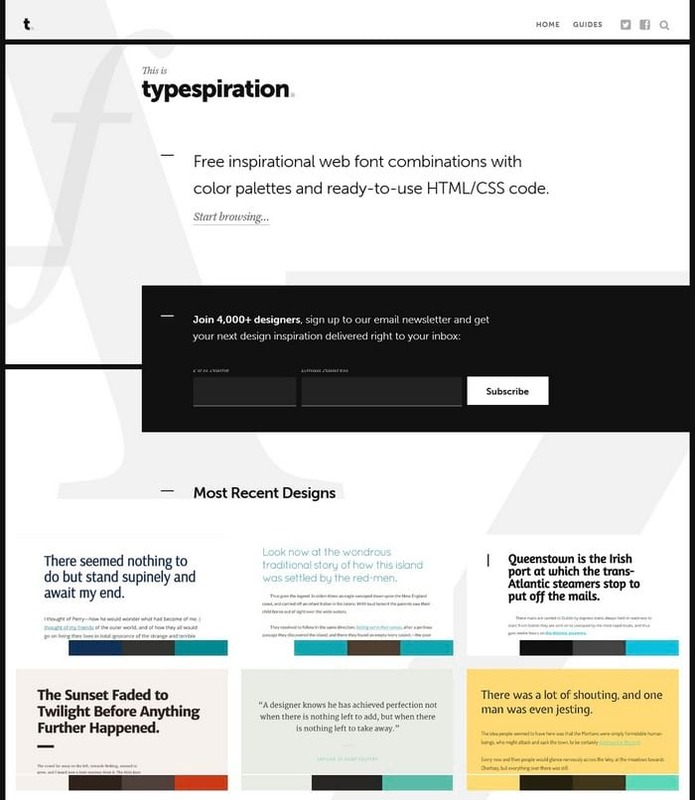 The website will also help you find inspiration when needed and of course, the perfect typefaces for your projects. Google’s dedicated fonts database encompasses some of the most popular open source designer web fonts available. Yes, all these fonts are web ready and therefore, suitable for web designs and HTML5 banners. Colors are yet another important thing to consider as a visual marketer. Colors can trigger emotions and they can help you get your message to your audience better and quicker. They account for more, however, as you should choose carefully the tones you use in your visuals, especially if you want to match them to your logos or your brand visual identity as well. This one is more than a website, is a community of designers and marketing creatives from all around the world. Here, you can create and share colors, palettes, patterns etc. If you are a designer or a visual marketer, you can also discuss here the latest trends in the industry and read some of the most interesting articles on this topic. Let’s say that you are navigating a website and you like the color palette. Or, that you come across a banner and you want to use the same colors on yours. What can you do? Well, you can make a screenshot and paste the file into Photoshop in order to find which colors were used or you can install a browser extension and find out immediately. 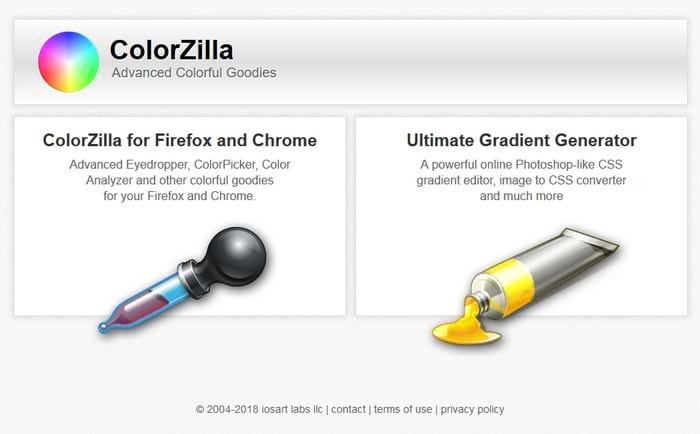 Colorzilla is such an extension. It acts as an eyedropper, a color picker, color analyzer and gradient editor at the same time. And you don’t even need to close your browser. Do you need inspiration when it comes to colors? Are you wondering about which tones match with your brand colors? What colors are compatibles? Well, here’s your answer: Colorhunt gives you the information that you need and offers some great suggestions as well. Try it if you need some inspiration. 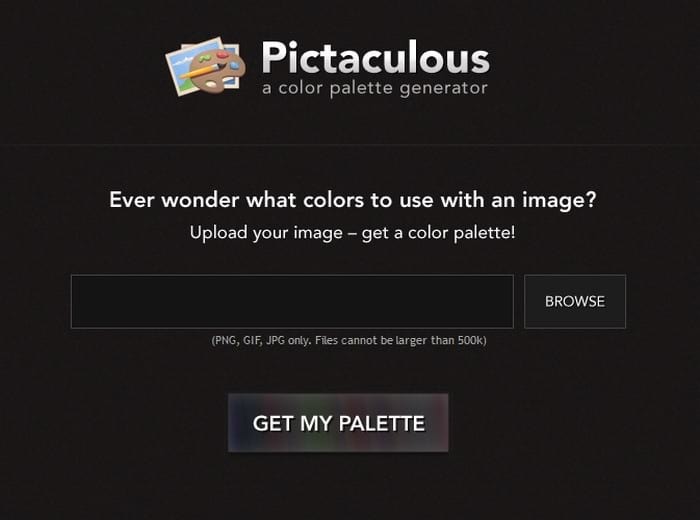 If Colorhunt can’t help, you can go to Pictaculous for further and more precise suggestions. Here, you can upload an image and receive suggestions on which colors to match with it, based upon the colors of the image. 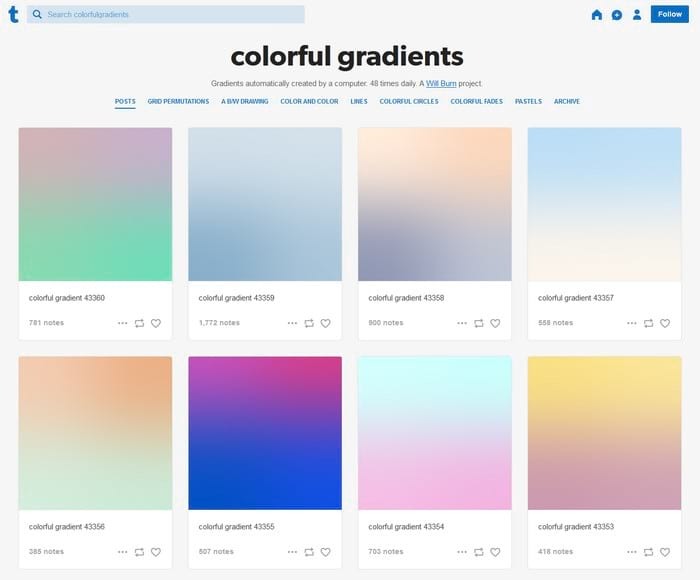 Do you need colorful gradients in your visual creative work? Well, go no further than Tumblr.com website. Here, you can find everything you need at just one click distance. 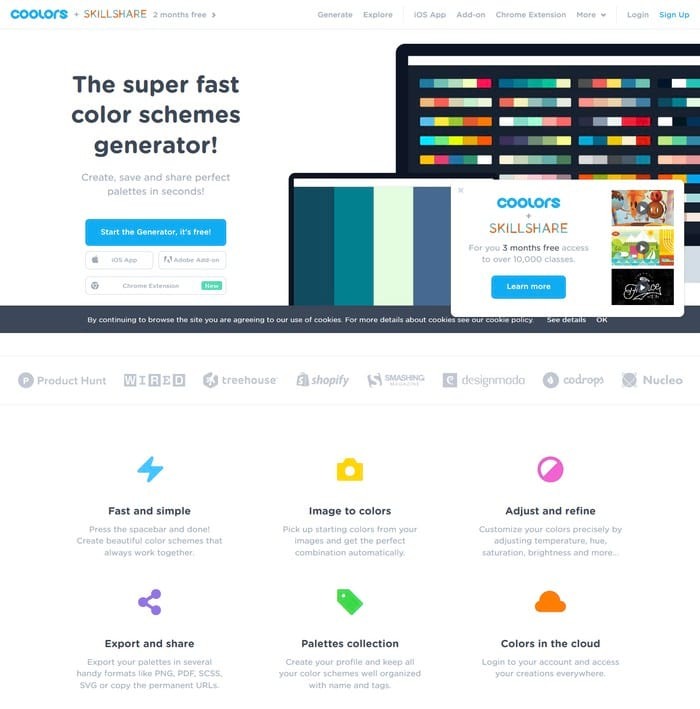 If you need a fast color schemes generator, Coolors is the place to go. 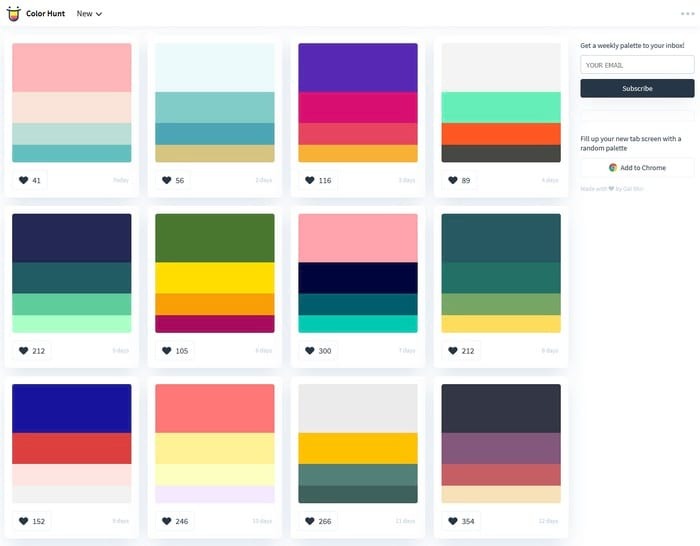 You can create and share palettes in just a few seconds. Moreover, the tool is available as an Adobe add-on, as a Chrome extension or as an iOS app as well. So far, we’ve managed to list some of the best online resources and tools for choosing your photos, your fonts, and your colors. What about the process of creation itself? What do you need when you are ready to start creating your visuals? When it comes to display banner ads and social media visuals, Bannersnack is the tool you need. It’s available online, you don’t need to install anything on your computer and most of all, it’s very easy to use. At the same time, everything you create with it looks professional and out of the box. Bannersnack features numerous templates and presets compatible with all major social media platforms. It’s the greatest premium option for banner creation. Do you need some icons, maybe? Do you need professional looking icons for your banners, Infographics or other visuals you are creating for your campaigns? Well, FlatIcon will solve all your problems in an instance. There are hundreds of thousands of readymade icons here and you can also download full packs of icons according to your needs. If you just want to polish or retouch some visuals before posting them on social media, PicMonkey may just be enough. The app doesn’t require much of an effort to master and it is quite useful when you don’t have a lot of time either. The app is not free, you need a premium subscription in order to use it to its full potential. However, there is a 7 day trial in place so, if you want to check whether or not it might be useful to you, you can do it immediately. Also, dedicated apps for Android and iOS are available as well. 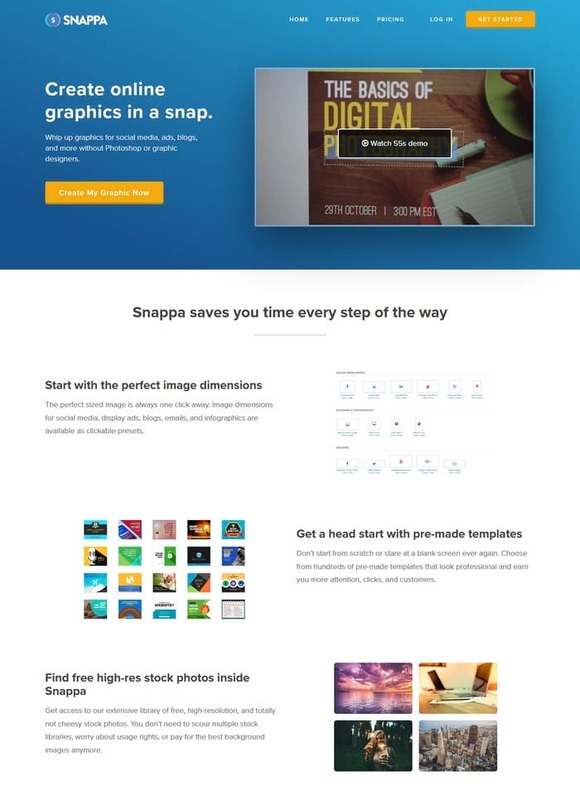 Snappa provides you with a fully featured online graphic editor available from your own browser. By dragging and dropping, it allows you to create engaging and professional visuals you can later share with your audience on your blogs or on your social media accounts. 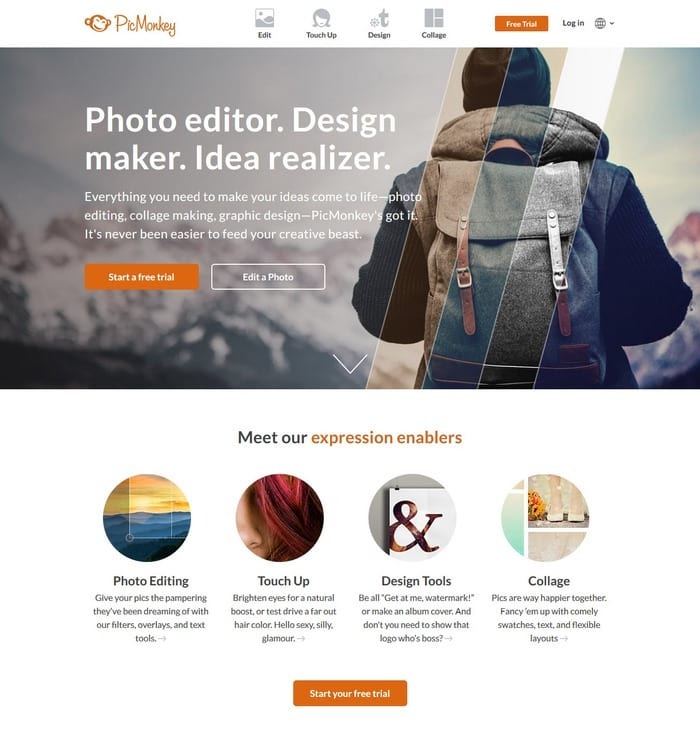 Pablo is an easy to use online tool that allows you to make some minor adjustments to your visuals before posting them on a blog or on social media. The tool allows you access to over 600k images with sizes presets for Twitter, Facebook, Pinterest and so on. You can add texts, quotes, logos and other graphics. Giphy gives you access to a great database of animated gifs you can download and use for your own campaigns. However, it features a simple gif creator tool as well and this is the main reason I have included the website on this list. 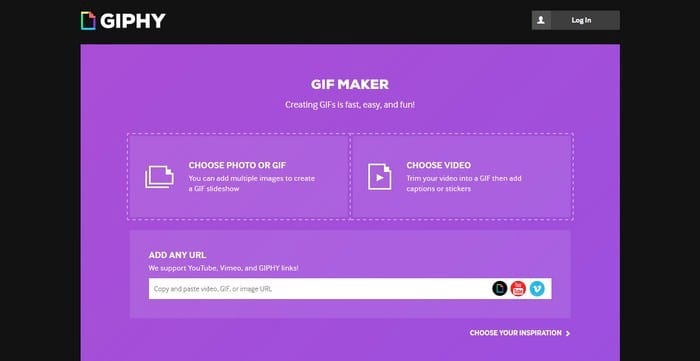 The tool is easy to use and allows you to create gifs from multiple images or from your own videos. Infographics are very popular these days among Internet users and marketers as well. They allow you to tell your stories in a visual manner and use as little text as possible. Thus, your audience receives your messages quicker and more effectively. Are there any resources online for Infographics lovers and marketers who want to include them in their campaigns? 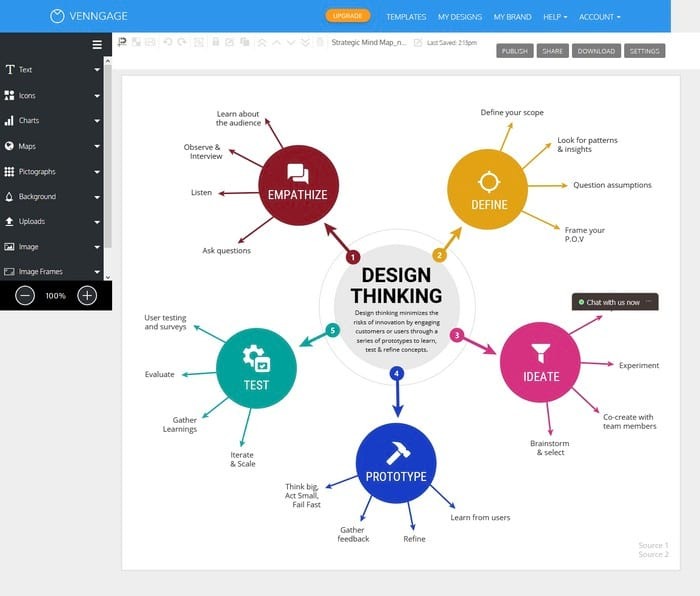 Venngage is a tool similar to Bannersnack but it focuses mostly on Infographics. You can use its “easy to work with” online editor, in order to create your own visuals. Also, the tool comes with already defined presets and templates that will ease your work significantly. Venngage gives you the options for a free subscription that will allow you to work independently. However, if you work with an agency or if your workload is higher, I suggest subscribing for a paid option. 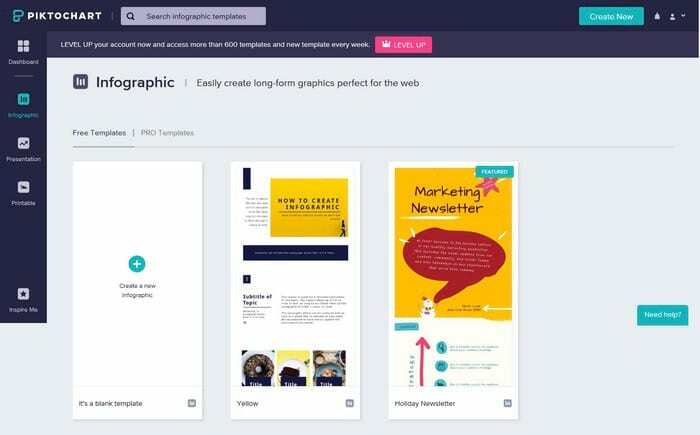 Another great tool for Infographic design, Infogram, includes both, a free and a paid subscription as well. The free subscription allows you to create up to ten projects and therefore, it’s a good starter that will help you get an idea about the app and how it works. Finally, you can also try Piktochart is you want to check yet another great option for designing Infographics and brochures. The tool is available online and it looks similar to the above tools. It includes free and paid subscriptions as well. The paid subscription will give you access to more tools and templates. 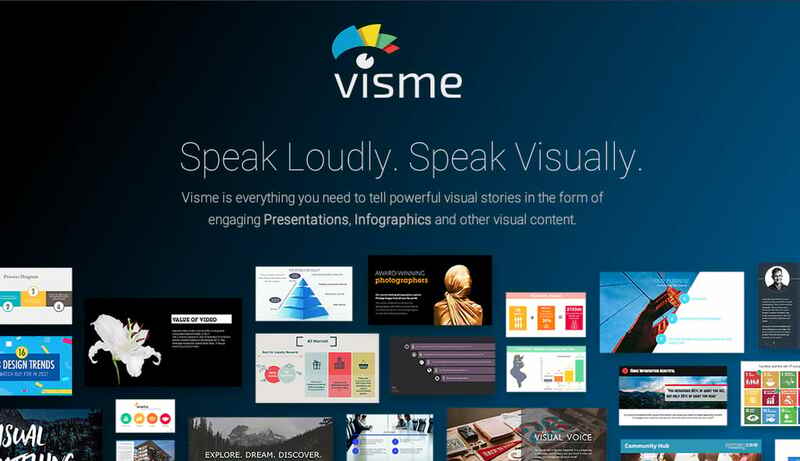 Visme transforms the way you create & share engaging presentations, infographics and visual reports.The only system combines an intuitive easy to use Presentation builder with thousands of assets and fully customizable templates, with powerful collaboration, analytics and delivery options in one easy-to-use cloud based app. Work individually or as a team to collaborate. You have all the images, the banners and Infographics you need in your visual marketing campaign. It’s now time to post them online and share them with your audience. Here’s a list of tools that will make this process easier and faster. 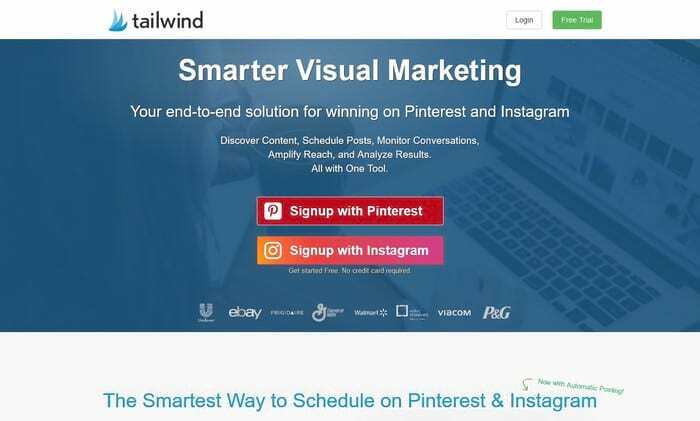 Tailwind is a smart visual marketing scheduler and organizing tool that works with two of the most popular visual based social media channels: Pinterest and Instagram. You can schedule your posts, monitor your conversations or conversations related to your industry, analyze the results etc. Also, TailWind will help you amplify your reach and optimize your posts based on several relevant data. 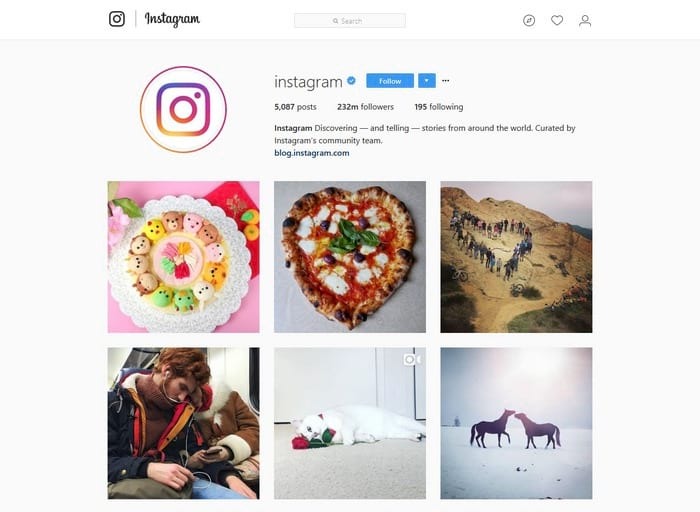 Instagram is one of the most popular social media channels. Its focus on photos makes it perfect for a visual marketer. You can use the app to share your photos, your experiences, and your visual creations. The platform is also perfect for display advertising. All your visual content will only be effective if they reach your target audience. However, you have just a few seconds at your disposal in order to get their attention and this is why you need optimized visuals. You need images and banners that load fast. 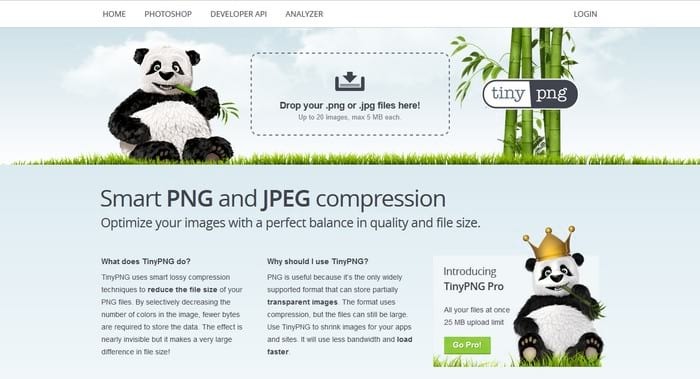 TinyPNG is the tool you need in order to compress and optimize PNG and JPG files. There’s also a Photoshop plugin available on the website, which you can use offline if you are working with Adobe’s photo editor. Otherwise, the tool is very easy to use. You just drag and drop your files on the website and wait for the miracle to happen. 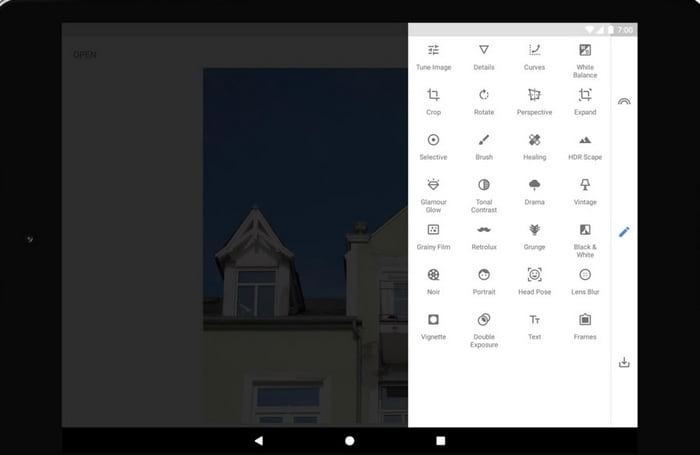 PlaceIt is an instant mockup generator with more than two thousand templates to choose from. 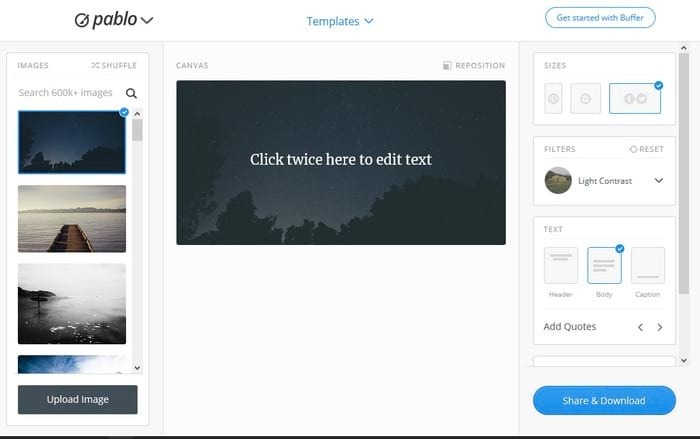 Also, here you can create presentation videos for your apps and websites in just a few seconds. There are no free subscriptions available here since this is a premium service. However, considering the fact that it can help you save an impressive amount of time that you can use for other important tasks, it is worth the money spent. So far, I have talked about several tools and databases you can use as a visual marketer, only focusing on images and animated visuals. It’s now time to also talk about videos, which constitute an important part of your marketing campaigns. 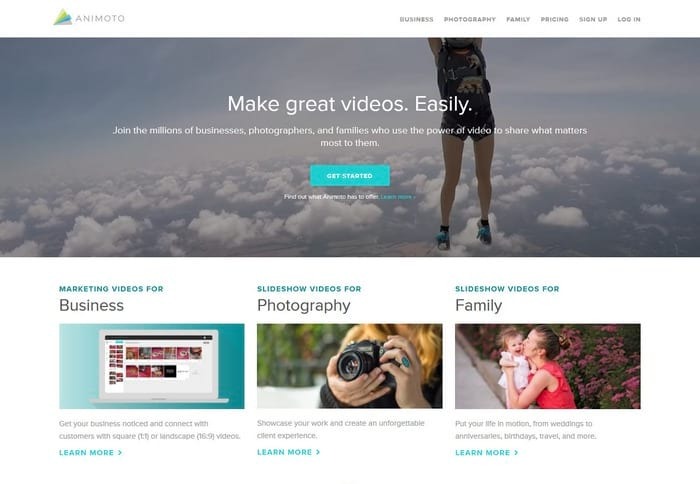 Animoto is a professional tool for easy creating videos. It’s a great option for visual marketers and advertisers as well and it will allow you to organize your work better and save precious time. You can use the tool to create animations from a set of photos or, you can use it to combine videos with audio. It’s great for social media posts, business video clips and events presentations. 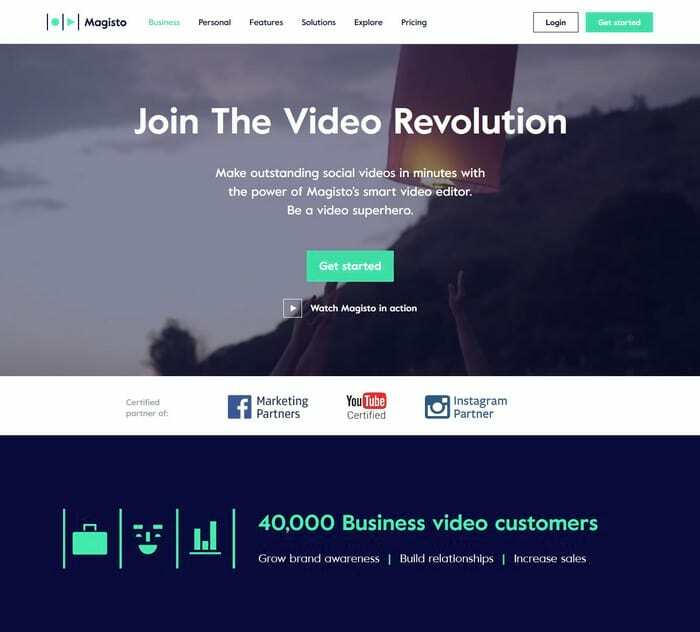 Here’s another great tool for creating and editing business videos. The app is easy to work with and you don’t even need to be a professional video editor or an artist in order to create stunning clips. Upload your files, choose an appropriate style, and a soundtrack from the already available audio database. Then, let the A.I. do the rest. 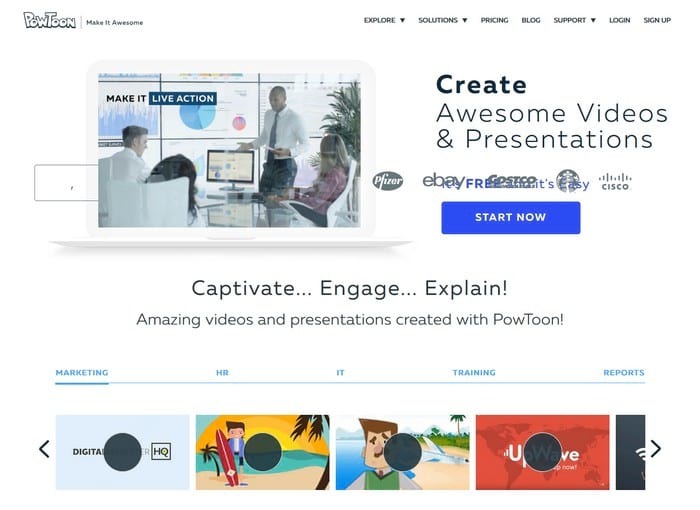 While the two previous tools are only commercial without a free subscription available, if your budget is limited you can try PowToon in order to edit your videos. The free subscription is limited and it carries a branded logo on your video. However, it’s great if you just want to try the app or in case you don’t want to create HD videos or long feature films. As a digital marketer, you need the best resources and tools in order to make sure you reach out to your audience and keep them engaged. 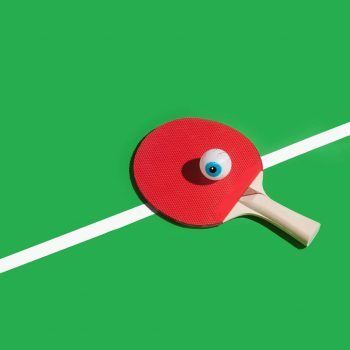 A successful marketing campaign depends mostly on how your visual content looks and how quick you manage to grab your audience’s attention with your creation. I hope this list will help you make the most out of your visual marketing campaigns. If you know about other similar tools and databases that may help a visual marketer as well, feel free to add your inputs into the comments section available below.